Trouble sleeping? Here are my 5 steps to get a great night’s rest every night. As someone who has always had thunder thighs, I have struggled to find the perfect shorts and pants that fit my waist, and sit comfortably down through. Often times, I’ve had to make the decision: size up to accommodate my seat and thighs and suffer form a baggy short or pant at the waist, or get the right pants for my waist but suffer with an uncomfortable fit at my thighs? Thankfully for me, I discovered IZOD a few months back. My bottom-half has thanked me ever since. What I love about these pants: stylish but unbelievably comfortable. Sit comfortably just above the waist, and the pant maintains a wide opening through the leg. One complaint I have about the pants, they can get a little baggy actually after wearing it a few times. Recommended you wash after every use or couple of uses. Cadet navy is the color that I purchased. I live in a very warm place, and I do have the luxury of wearing shorts for most of the year. A common problem I have had with shorts is how snug they wrap around my thighs and groin area when I sit down. . For me this always meant I needed to get a size or two up, literally just to accommodate for my thighs and groin area, but this meant that the shorts were large around my waist. These shorts accommodate to you seat and thighs. Give them a wear or two and you’ll notice how they seemingly stretch to fit your body; at least that’s been my experience. I have these shorts in both “Federal,” and “High Rise.” I particularly love High Rise because it’s a unique color. I have gotten four or five compliments on them, and you can dress them up a little bit compared with other common short colors such as khaki. Our final IZOD product featured in this blog post. 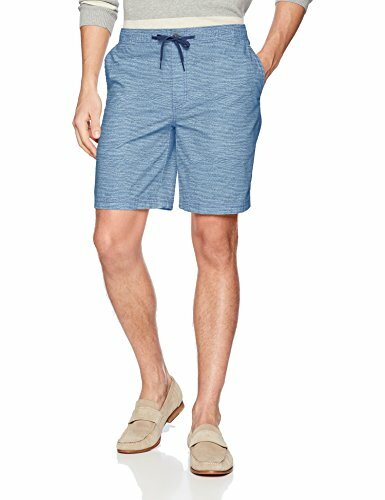 These Chambray walking shorts are a perfect summer short. They add some color to your collection and strike a great balance every man should strive for in his wardrobe. The shorts in my experience are a little bit wider through the leg, but sit just a bit snug on the waist. 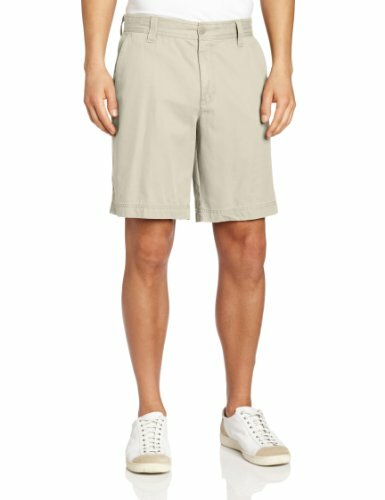 While perhaps not as comfortable as the flat front shorts featured above, the color and style of these shorts still makes me want to recommend them to any thunder-thighed male. There you have it: my love for IZOD is out there. 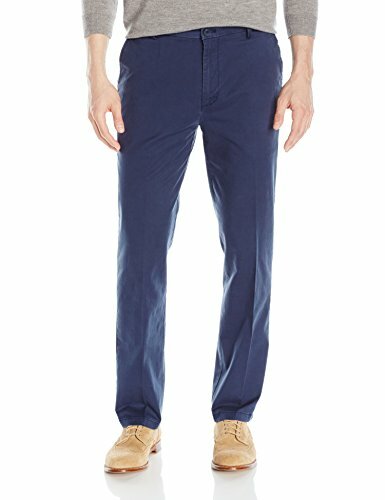 On a serious final note, if you, or anyone you know have large thighs or a booty, consider these IZOD shorts and pants. They are stylish, supremely comfortable, and very affordable.